You’ll discover a “24/7” collection resource that can better serve the up to 90% of patients who prefer interacting with an on-line agent rather than a live collector. Our approach to the medical market segment, a proven combination of industry best practices, advanced technology and 40 years of experience --- ensures better receivables recovery and reduction of slow pay (…or no pay!) patients. We strive to build relationships with your patients, and having built trust --- rather than harassing and annoying them till they avoid us --- they work with us to find a way to pay. We also work diligently to ensure prompt reimbursements from third party payers. Our management team is made up of seasoned collection industry professionals with more than 40 years of combined experience. We bring a unique and invaluable perspective gained from having working in both the medical and insurance industries, learning first hand the issues and concerns that effect day to day operations. MLR management staff is experienced in working with a wide variety of healthcare organizations, including but not limited to Hospitals, (in patient and out patient ), Physician Services, Ambulatory Surgery Centers, as well as all other types of specific medical specialties. Every account receives the appropriate telephone interaction and letter campaigns. Proven workflows are set to ensure each account, assigned to one of our highly skilled, healthcare specialists receives the attention needed through dedicated portfolio penetration regardless of balance. MLR’s HIPAA-compliant Healthcare Collections Division works with emergency rooms, dental offices healthcare and medical institutions including, hospitals, physician networks, private practices, billing companies, and more. 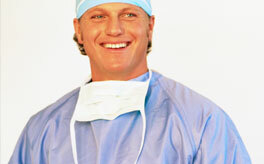 At MLR all patients are pursued at all times with integrity and respect maintaining a positive image to the public. MLR Health Care Division understands that Healthcare organizations are facing numerous challenges and regulations in which choosing the right agency is not only important, it’s imperative. Unfortunately Health Care receivables, in general, are not an area within the industry that is improving. Health expenditures as a percentage of gross domestic product now account for 17.6%--up from 13.8% in 2000. Insurance premiums for families have increased 131% since 1999. Over 50.7 million Americans were not insured in 2009. Out-of-pocket payments for patients have increased from 202.1 billion in 2000 to 299.3 billion in 2009. Coupled with these percentages, it’s easy to see where healthcare is trending. 80% of hospitals believe they will have a significant source of bad debt. 40% of institutions said patient collection issues were their number one priority. 20% have lowering bad debt as a goal. * all statistics courtesy of American Hospital Association 2010 Health and Hospital Trends.